The following brief note discusses a number of individuals buried in Roman London who have results indicative of an 'East Asian' ancestry. 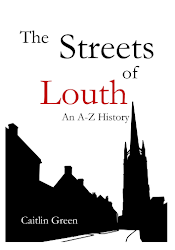 These people seem to have formed part of a diverse community living in the southern suburb of Londinium during the second to fourth centuries AD, with over 40% of the individuals studied having results consistent with an African or Asian ancestry and/or childhood residence. 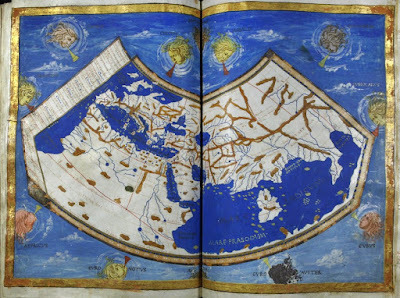 A fifteenth-century map of the world based on the second-century AD Geography of Claudius Ptolemy, with the British Isles on the far left and China on the far right (Image: Wikimedia Commons). The evidence in question consists of a sample of 22 burials from the southern burial area of Roman London which have been subjected to a recent isotopic and/or macromorphoscopic trait analysis in order to establish the ancestry and childhood residency of these individuals. 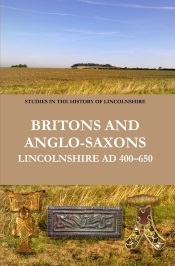 (1) The results of this analysis offer a picture that is broadly in line with the situation at Roman York and other similar sites, as reported in a number of previous posts, namely that the evidence points towards a considerable degree of diversity in the Roman-era population of Britain. So, 41% of the 17 individuals buried at London and subjected to macromorphoscopic trait analysis (n=7) had results consistent with a non-European—African or Asian—ancestry, and 45% of the 20 individuals whose teeth were analysed (n=9) had oxygen isotope results of 19.2–21.0‰ δ¹⁸Op, well outside the credible British range and most consistent with a childhood spent in North Africa or even further afield, as discussed elsewhere. Needless to say, whilst such results are perhaps in many ways unsurprising, it is nonetheless worth knowing that the conclusions regarding the diversity of the population of Roman Britain reached previously on the basis of evidence from York, Winchester and elsewhere hold good for London too. However, the importance of the London burial data goes beyond simply adding further weight to previous conclusions, as the data reported not only identifies a number of people of probable 'African descent' within the Roman-era urban population (four individuals or 24% of the sample investigated), but also two or three individuals who appear to be of 'East Asian' ancestry. The individuals in question are two men, aged 18–25 and 26–35, who were buried in the second and fourth centuries AD, respectively, and who are both identified as being of probable 'Asian' ancestry on the basis of a macromorphoscopic trait analysis (that is to say, their macromorphoscopic trait results are comparable to those of the modern populations of China and Japan), along with a woman aged over 18 who was buried in the second century AD and whose results are possibly indicative of Asian ancestry. (2) None of these three people had oxygen isotope results consistent with an early life spent in the London area, although pinning down their childhood residency beyond this is difficult. Drinking water that would produce tooth enamel oxygen isotope values similar to those of the man and woman from the second-century AD is found across a broad swathe of the globe from western Britain and southern Europe across to China. Equally, although the oxygen isotope result of the man buried in the fourth-century AD is outside both the British and European ranges, it would still be consistent with a childhood spent in, for example, large areas of North Africa, the Near East, India, Central Asia or the western parts of Han China, making identifying where he spent his early life problematic. 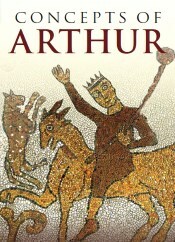 Finally, as to question of whether these people were resident in London or simply passing through, it is worth noting that the dietary isotope ranges of the two individuals who were tested for this are within the local ranges encountered in other Romano-British cemeteries, suggesting that these people, whatever their childhood origins and ancestry, may well have spent the last decade of their lives in Britain, something that is in itself notable. Needless to say, the probable presence of people of 'East Asian' ancestry in Roman London is a matter of considerable interest. As to the circumstances of their apparent residency within the western Roman Empire, it needs to be emphasised that these inhabitants of second- to fourth-century AD Londinium are not wholly alone nor without context. Most notably, a recent isotopic and mitochondrial DNA study of burials on the Imperial estate at Vagnari, southern Italy, has indicated that one of the adults buried there in the first or second century AD was likewise a migrant of 'East Asian' ancestry, given that 'all modern mtDNA matches to her available haplotype sequence are from Japan'. (3) Similarly, it should be emphasised that there is a small quantity of written evidence which mentions embassies and travellers between China and the Roman Empire in this era and after; that the Roman appetite for silk is well documented; and that at least some Roman coins have been found in China and Vietnam, along with Roman beads in Japan. In the past, such contacts and trade have been considered to be extremely infrequent and largely indirect, but the evidence from Vagnari and now London suggest that this judgement perhaps ought to be partially revisited and that a greater degree of contact and movement between the eastern and western extremes of Eurasia may now need to be allowed for. 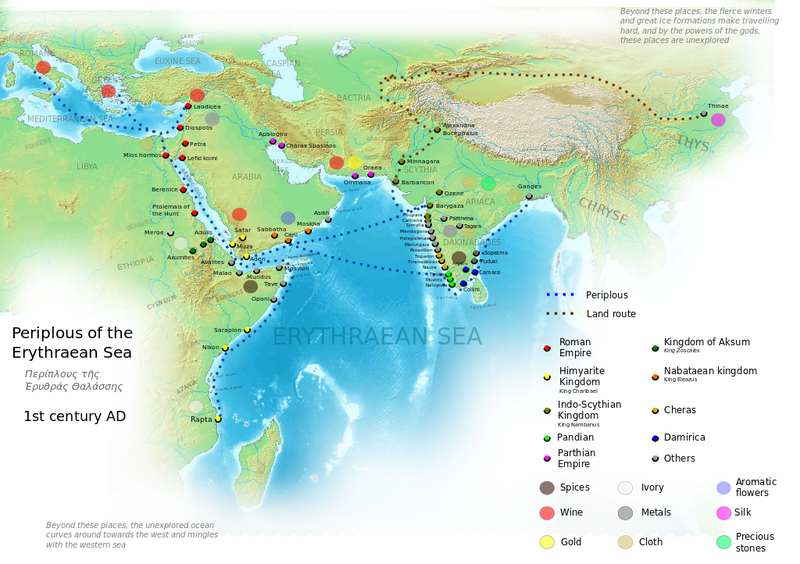 Map of the Roman-era Periplus of the Erythraean Sea, showing maritime trading routes between the Roman Empire and Asia; click for a larger version of the image (image: Wikimedia Commons). 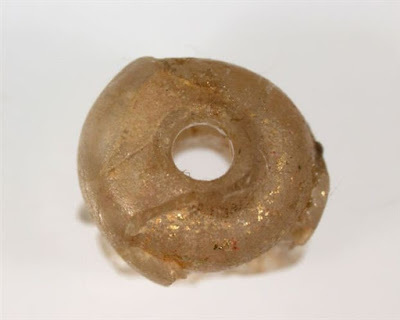 A first- to fourth-century AD Roman glass bead found in a fifth-century AD grave in Japan (image via strangehistory.net). 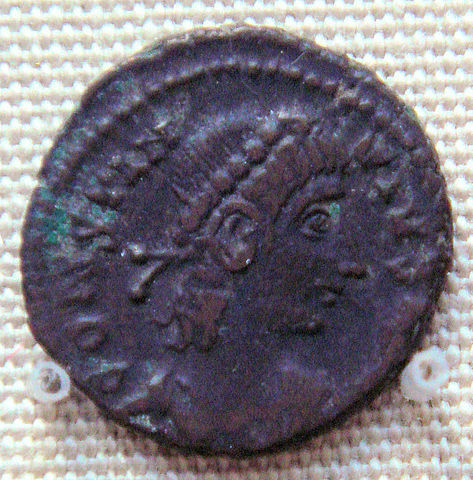 A bronze coin of the Roman emperor Constantius II (337–61), found in Karghalik, Xinjiang Autonomous Region, China (image: Wikimedia Commons). 1. R. C. Redfern et al, 'Going south of the river: a multidisciplinary analysis of ancestry, mobility and diet in a population from Roman Southwark, London', Journal of Archaeological Science, 74 (October 2016), 11–22, online at http://www.sciencedirect.com/science/article/pii/S0305440316301030. 2. The two burials considered to be those of ‘probable Asians’ are BL3 and BL29; the individual considered to be a ‘possible Asian’ is BL5. For the methodology used, see R. Redfern et al, 'Going south of the river: a multidisciplinary analysis of ancestry, mobility and diet in a population from Roman Southwark, London', Journal of Archaeological Science, 74 (October 2016), 11–22, where it is outlined in detail. It should be noted that a recent online magazine piece by Kristina Killgrove expresses scepticism over the conclusion that there were 'Chinese'/'East Asian' people in Roman London as publicised in press reports on this research, but the critique there is arguably a tad hyper-critical and ought to be in turn treated with a degree of circumspection. So, for example, Kristina Killgrove suggests that 'news outlets would do well to read thoroughly the articles they’re covering and not exaggerate their headlines'; however, the press coverage is, in fact, largely in accord with the main thrust of the published article, which states that it represents 'the first identification of people with African and Asian ancestry in Roman London' and describes two of the people as 'probable Asians' and 'likely to have had… Asian ancestry', a confidence confirmed by the radio interviews given by the team on the 23 September 2016 (see, for example, Rebecca Redfern on The World at One, BBC Radio 4, 23 September 2016, available online at http://www.bbc.co.uk/programmes/p048t3c5). Similarly, Killgrove states first of all that one shortcoming of the study’s methodology is that 'many of the samples… had only two traits to score… [which] can affect classification accuracies'. However, what is not made clear in this magazine piece is that such concerns as this don’t actually apply to the identification of the two 'probable Asians' (BL29 and BL3) under consideration here. Rather, their identification and classification as 'probable Asians' is based on fifteen and seven traits, respectively, not two or fewer, although no mention of this is made in the magazine article (incidentally, it is also worth noting that the authors of the study clearly state that '[w]hen insufficient data are available, ancestry estimations remain "indeterminate"' and mark them as such). Finally, Killgrove’s magazine article criticises the authors for not using DNA evidence and relying instead on forensic anthropology techniques and stable isotope analysis. Whilst DNA work would certainly be interesting to read and would be both valuable and welcome, as Kristina Killgrove says, it has to be asked whether its absence really is as fatal as she suggests and if such an absence really means that the forensic ancestry assessment in the paper ought to be largely dismissed out of hand? 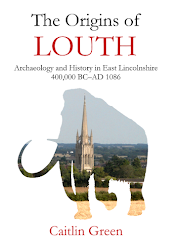 In this context, it is worth pointing out that a similar combination of forensic anthropology techniques and stable isotopes—likewise without DNA—was successfully used as part of the recent, well-respected 'A Long Way from Home: Diaspora Communities in Roman Britain' project dealing with multiple Roman-era burials at York (see S. Leach et al, 'Migration and diversity in Roman Britain: a multidisciplinary approach to the identification of immigrants in Roman York, England', American Journal of Physical Anthropology, 140 (2009), 546–61; S. Leach et al, 'A Lady of York: migration, ethnicity and identity in Roman Britain', Antiquity, 84 (2010), 131–45; and the Archaeology Data Service's 2012 project website at http://archaeologydataservice.ac.uk/archives/view/diaspora_ahrc_2011/), and it has also been used to identify, for example, the medieval ‘Ipswich Man’ and the Roman-era ‘Beachy Head Lady’ as of African descent too. Needless to say, if we are happy with the use of forensic anthropology techniques and stable isotope analysis without DNA in these cases and generally accept their conclusions with regard to ancestry, then there seems little reason why the new study of Roman Londinium deserves to be treated any differently! In sum, therefore, I'd suggest: (a) that the press coverage didn't, so far I can tell, materially misrepresent the research and that the authors of the 2016 Journal of Archaeological Science study are, in fact, clear that they've identified 'probable Asians' in the burial record of Roman London, as demonstrated by the published work and their subsequent interviews; (b) that the two 'probable Asians' in this cemetery were identified on the basis of significantly more than two traits, something that is perhaps less than clear in the online critique; and (c) that similar or related methodologies have been successfully used in the past, most notably by the 'Diaspora Communities in Roman Britain' project relating to Roman York, and there seems little obvious reason to treat this new study of the London evidence any differently than we do those. 3. T. L. Prowse et al, 'Stable isotope and mitochondrial DNA evidence for geographic origins on a Roman estate at Vagnari (Italy)', in H. Eckardt (ed. 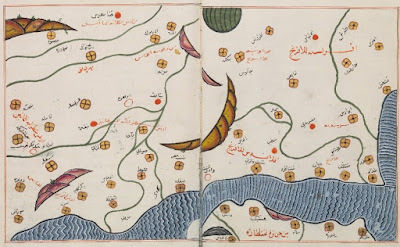 ), Roman Diasporas: Arachaeological Approaches to Mobility and Diversity in the Roman Empire (Portsmouth RI, 2010), pp. 175–97 at pp. 186, 189, 191, quotation at pp. 189–91; T. L. Prowse, 'Isotopes and mobility in the ancient Roman world', in L. de Ligt & L. E. Tacoma (eds. ), Migration and Mobility in the Early Roman Empire (Leiden, 2016), pp. 205–34 at p. 194.